MOBILE PET/CT SCAN FACILITY THAT PROVIDES RADIOLOGICAL SCREENING SERVICES TO THE VERY MOST REMOTE LOCATIONS ON EARTH! 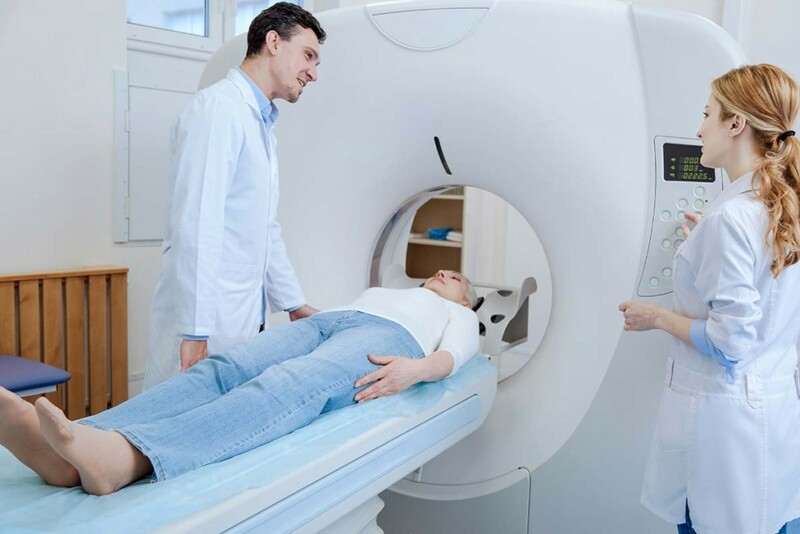 Our compact PET/CT scan facility is a specially designed radiological clinic primarily devoted to patient screening using a full-body scan as part of the diagnosis or treatment of illnesses. Our mobile PET/CT scan units are capable of identifying diseases (i.e. : cancer, etc.) in early stages. Identifying the disease early can improve the success of curative treatment efforts. Combining both PET and CT imaging allows oncologists a means to determine the exact location of tumors in relation to an organ or the spinal column. The PET/CT unit produces a colorful image that shows the anatomical location and metabolic spread of the disease and the infected area. The PET/CT scan provides exceptional image quality and accurate diagnostic data for a variety of cancers: breast, cervical, colorectal, esophageal, head and neck, lung, lymphoma, melanoma, and ovarian. Our compact mobile PET/CT unit offers the latest in PET/CT imaging in a compact but spacious facility. This mobile facility allows hospitals or governments a cost-effective approach to their PET/CT needs. Our mobile unit offers your patients the most advanced and effective method of obtaining both anatomical and biological data for accurate tumor detection and localization without the expense of purchasing and installing one in each of your brick and mortar hospitals. 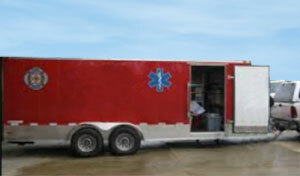 One mobile facility can support multiple hospitals and various locations (even the most remote). 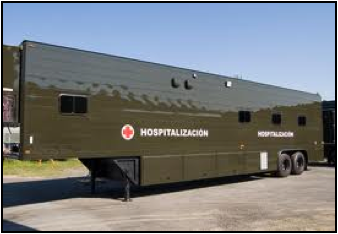 Mobile Healthcare Facilities’ Compact Mobile PET/CT Facility is built on a self-propelled, heavy-duty truck chassis that can be either 2-wheel or 6-wheel drive. This vehicle has an enclosed 30’ (9M) conditioned all aluminum structure with one expandable wall section. The expandable wall section increases the working space for the radiologist inside the PET/CT scan room. The 6-wheel drive option allows this facility to travel over very poor roads to reach even the most remote communities and villages. Even with its high technology and great mobility, this mobile radiological unit can be set up and be fully functional in as little as twenty (20) minutes with three (3) people. This mobile PET/CT truck is designed for ease of use by the radiologist. It has customized cabinetry, and high quality structural material for long life. 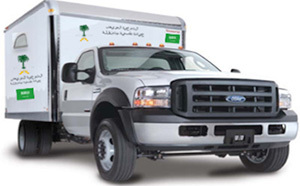 Mobile Healthcare Facilities is able to install any of the major brand PET/CT machines into our mobile unit. We are able to integrate Phillips, GE, Toshiba, or Siemens PET/CT scanners. We are a custom manufacturer so our mobile PET/CT scan unit is built to meet your specific needs. There are two means of entrance and egress from this facility. One (1) is an entrance stairs and landing and the other is a large door and lift. This lift is capable of lifting large equipment as well as patient wheel chairs and beds. Mobile Healthcare Facilities’ Mobile Compact PET/CT Scan Unit Provides YOU, the Front Line Radiologist the Perfect Mobile PET/CT Facility to Properly Scan YOUR Most Remote and Seriously Sick Patients! 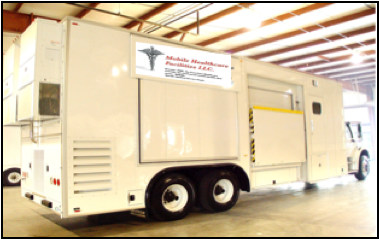 To see the floor plan and pricing for this Mobile PET/CT Unit (30')(9m), Click on Button Below! Why choose Mobile Healthcare Facilities’ Mobile Compact PET/CT Unit? 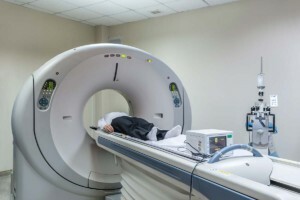 There is a need to use the PET/CT machine in multiple locations. Compare our Mobile PET/CT Unit to our competitor’s Mobile PET/CT Units and you are sure to choose Mobile Healthcare Facilities’ Mobile PET/CT Unit.